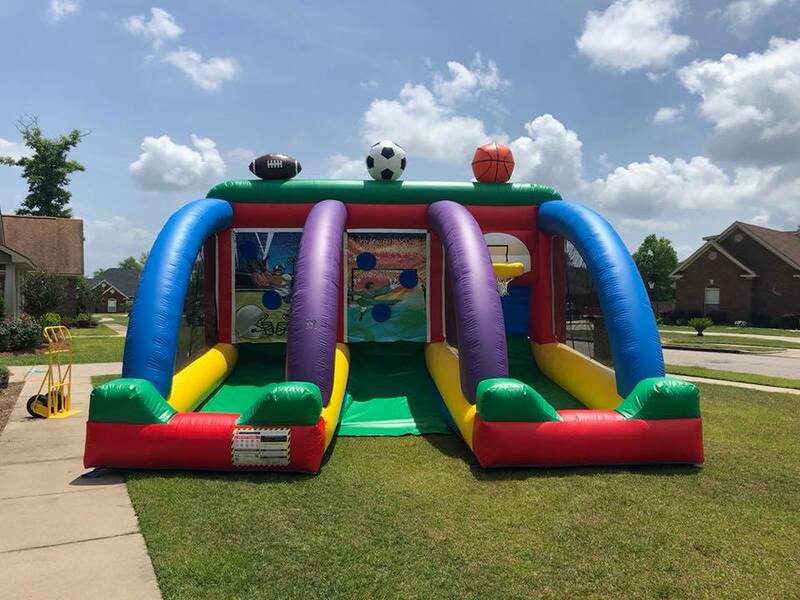 Best Inflatable Game Rentals in Mobile AL | Your local company for your event rentals needs. 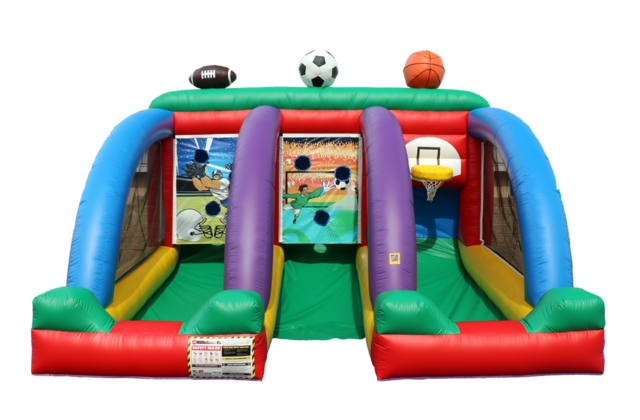 The 3 in 1 sports games is a popular addition to any bigger event. It is a game enjoyed by kids, teens, and adults. It includes 3 lanes, each dedicated to a different game. It has a football game where you try to complete a pass to a receiver. It has a soccer game where you have to get the ball past the goalie. The last game is the basketball challenge. The game includes 2 sports balls for each game.